TL/DR- Create a non profit with the goal of raising capital, call for proposals for marketing, onboard new members, steem retention, as well as advocacy with governmental regulatory rules, and distribute funding for accepted proposals. The Non Profit is not concerned with blockchain code. Overview/ Executive Summary The Need for the Steem blockchain to grow, in both real number of users and in value is paramount. The Primary purpose of GROW-THE-CHAIN, the Non-Profit corporation, is to educate the public on the Blockchain’s Existence, and Value, provide advocacy for Steem within worldwide governments, and interact with the world’s corporate environment. Educating the public, through awareness, onboarding, retention, and assistance, will allow the underlying strengths of the Steem Blockchain to shine and naturally power the value of the STEEM, and ultimately, STEEM POWER. GROW-THE-CHAIN is primarily concerned with organization, adaptation and acceptance of the Steem Blockchain usage and value. It works alongside initiatives, such as DAO’s, the Worker Proposal, and is not concerned with Blockchain Code. GROW-THE-CHAIN will act as a strong advocate with world governments, to shape regulations, for continued acceptance and growth of Steem Blockchain. Purpose The non profit, GROW-THE-CHAIN, will raise capital, call for proposals, and provide Funding for Projects to make the general public, governments, and corporations, more aware of Steem Blockchain, enhance Steem value, and showcase Steem’s overwhelming advantages among cryptocurrency. The Non Profit will advocate for Steemians, and educate regulatory agencies and Governments worldwide. Primary Benefits By creating a legal US-based, non-profit educational, and advocacy corporation, the organization can focus on the mission of funding proposals to increase awareness, attract new members, retain new members, and support existing Steemians. GROW-THE-CHAIN will work with current and future governments, to adapt favorable legislation, and clear rules and regulations, to allow citizens worldwide the ability to understand legal and financial implications, and invest in the Steem Blockchain. Mission GROW-THE-CHAIN is tasked with identifying Marketing and PR needs of the Steem Blockchain, identifying public awareness needs, and identifying regulatory issues that need addressing. Funding for accepted proposals to resolve these key areas will be awarded to projects or groups to solve the issues at hand. 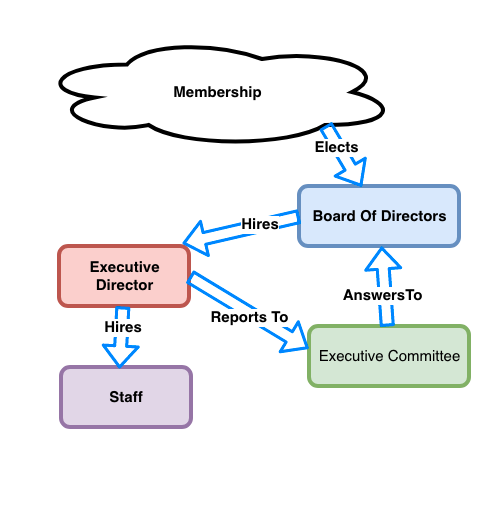 Organizational Structure GROW-THE-CHAIN will be a voluntary membership organization whose members collaborate on shared goals, and vision. Any Steemian can become a member. Members must hold an Account on the blockchain. Paid Membership will be tiered: The primary difference in membership levels, will be the type of representative, that can be elected, to serve the Board of Directors. The GROW-THE-CHAIN organization will be headed by a paid Executive Director, hired by the Board of Directors, with day-to-day operational responsibilities, who reports to the Executive Committee. As well, a paid staff including finance, public relations, marketing, education and awareness, advocacy, and legal operations, will be hired, as operating budgets allow. The Executive Committee will consist of 5 members, who are the Executive Director, Finance Officer, Board Chair, Witness Member, and Member-At-Large from ordinary membership. The Executive Committee will report to the Board of Directors. All Executive Committee Members will be expected to be open and responsive to Steemians and the Community at large. Rules and procedures can be placed to allow board of directors to remove an executive committee member for non responsiveness to the community at large, or in the case of malfeasance. In addition, at the Second Annual Meeting of the Non Profit, an additional 2 seats to the board will be added, to be elected by corporate funding members with definition of corporate funding member to be defined at the time of Non Profit Incorporation. After initial Board Member terms are completed, all future board members will serve for 2 years. The association may set guidelines for board member participation and removal in case of non participation, or malfeasance. No limit on total terms served lifetime is defined so long as no more than two in a row are served. One of the primary roles of the Board Of Directors will be to provide guidance and vote on FUNDING of PROJECTS by GROW-THE-CHAIN with membership feedback, communication and advice through communication and periodic voting. Community Involvement It is expected that Steemians will play a part in GROW-THE-CHAIN via membership, and also via member proposed and member implemented Projects. Accountability At all times, GROW-THE-CHAIN must be held accountable to its membership and to the mission and purpose. Rules and procedures will be put in place to allow removal of board members and executive committee members that are not responsive or are acting against the goals and mission of GROW-THE-CHAIN. Fiat Legal Structure As the Non-profit is primarily an educational and advocacy organization, the legal entity will be a US-Based registered 501(c)3 entity. Non Profit Funding Grant Funding will be awarded to initiatives that develop the ongoing efforts of the non-profit, GROW-THE-CHAIN. 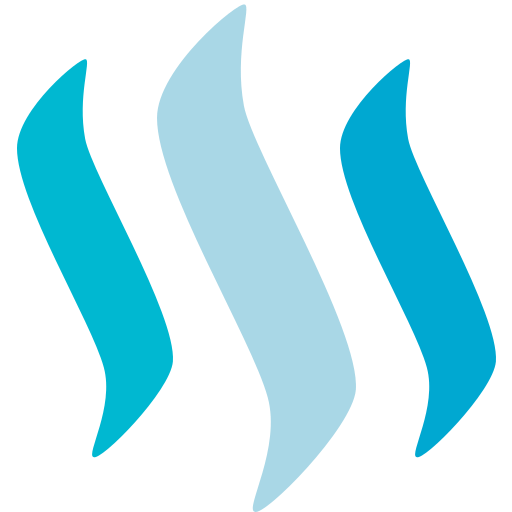 The ongoing goal is to not only be self-sustaining, but also grow the holdings of the non-profit, in order to provide greater value, year over year, to the Steem Blockchain. Project Funding Separate from Operating Budget, is PROJECT FUNDING. The board of directors, after consultation and communication with membership, will evaluate and vote on project funding, similar to initiatives approved at for profit board meetings and annual meetings. These projects are the heart of, and the mission of GROW-THE-CHAIN. The INTENT of the Foundation is to work alongside initiatives, such as DAO’s, the Worker Proposal, in concert. The Foundation is focused on Marketing, Membership, Retention, and Government Interaction in the real world to make Steem a valuable asset to society. The Foundation is not concerned with Blockchain Code. GROW-THE-CHAIN will act as a strong advocate with world governments, to shape regulations, for continued acceptance and growth of Steem Blockchain. In addition, this Foundation will work alongside Steem business Alliance as an advocate for the Blockchain. We see this Foundation, DAO's and Steem business Alliance as cornerstones of Steem Bockchain! Plan Going Forward These initial thoughts and musings are the first steps towards the actual formation and operation of the Non-profit GROW-THE-CHAIN corporation. As other plans become discussed and proposed, GROW-THE-CHAIN will evolve and perhaps, combine with or absorb the ideas. About the only certainty to date, is that there will be change! Feedback/More Information We welcome critical, thoughtful feedback on the Proposal to date. Stay tuned here for more information. We wish to thank the Original @steemalliance working group, the current @steemalliance Working Group, @ned for initiating the call for next steps and a non profit organization, @steemit as well as all who have made proposals, and actively participated in the process to date. Without strong advocacy, and vigorous discussion, the platform stagnates. "Early adopters of blockchain technology include Italian soccer club Juventus – which launched an “Official Fan Token” with blockchain platform Socios.com – and the Los Angeles Kings of the National Hockey League – which launched a blockchain-based platform last month for verifying the authenticity of merchandise." Do you suppose that the Steem blockchain can be used in a similar manner by professional sports teams? I would be very interested in hearing how the LA Dodgers and LA Kings held these events, given the difficulty of the US SEC and US IRS. There were conflicting interests and signals from each department on how ETH and Steem, etc would be treated. As a Security? Capital Investment? FOREX? If you phone or send an e-mail to the LA Dodgers and the LA Kings, and ask to have your e-mail or phone call to them transferred to whomever is the person that was responsible for having put together their organization's respective blockchain initiative, then they will probably be happy to chat with you, that they may answer your questions, as well as to hear about your own initiatives regarding the Steem blockchain.